Sudoku is not a traditional Japanese game. Despite this name, this game is a well-known mathematical puzzle. Logic of this game is simple. We take n × n squares filled with n digits from the set M so that in each row and each column each digit from the set M occurs only once. 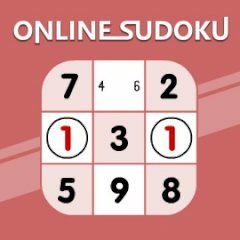 Sudoku has a field of 9x9 with tips. But our free game is cool because it is updated daily. Year-round you can play with new levels, ahead of competitors and win them with own logical skills. Do not sharpen a pencil to play this Sudoku, it's enough to be online once a day, register or not and win.